Periscope is a live video stream application by Twitter, and is the equivalent of having a live TV station in your pocket. I spent the first half of this past year experimenting with Periscope, and found it to be an incredible tool for sharing information and building a community with other individuals! I’ll present a topic relevant to students and teachers at all levels. Then taking open Q & A to answer any specific drumming questions members of the percussion community might have. 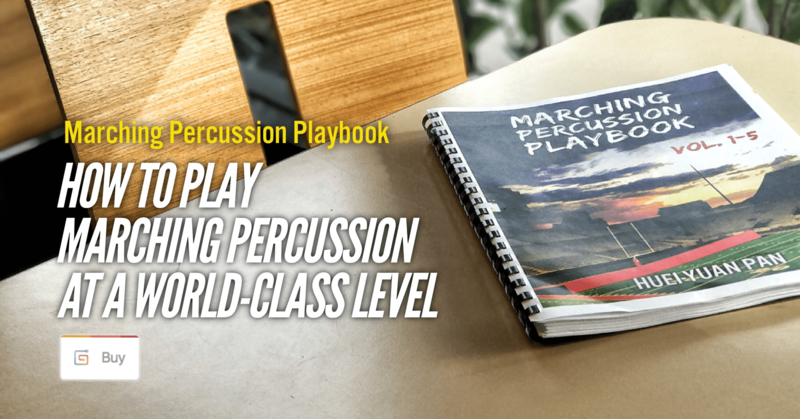 For full video lesson and show notes, click the lesson titles below. Inside are free PDF downloads to illustrate concepts from the lesson for all the visual learners out there. Look forward to seeing everyone tonight! THANKS FOR A GREAT SEASON 2! Every Sunday, live lessons on rudimental drumming. Tweet your video questions and follow on Periscope @hueiyuanpan. Thanks for sharing and inviting with your friends! Click titles below for show notes, video lessons, free downloads, and more! In an effort to better serve the community, please submit your topics and questions for future lessons by clicking here.